It was Norwegian Star to the rescue, did you know that?? I would guess probably not! It seems to be Just one thing after another for the cruise industry. 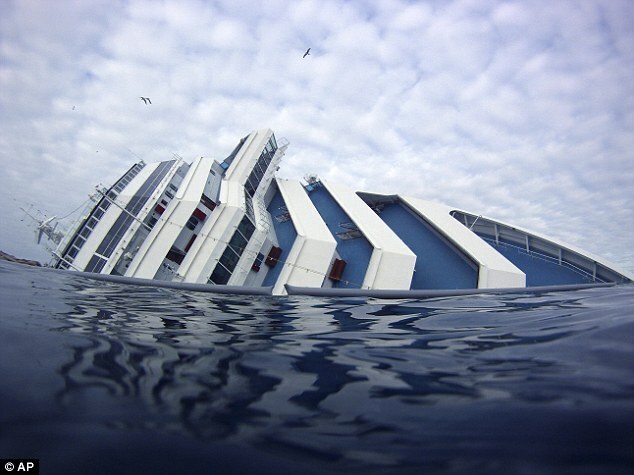 Since the Costa Concordia tragedy everything in its wake has been blown to the forefront of the media if it involves a cruise ship, but, it seems that only the bad press grabs the headlines and everything else just quietly sits un-noticed. Someone on the CruiseMiss facebook commented yesterday “Wouldn’t it be nice to wake up to a positive news story about a cruise ship? Just imagine what it’d be like if The Sun on Sunday tomorrow ran with the headline…. “Cruise ship rescues stranded sailors” or “Sick dolphin saved by crew of giant cruise ship”?! Instead we have 2 more disastrous stories hitting the press and a program on TV tomorrow about why ships sink”. With that in mind I decided although I’m not The Sun, I would try and find just this sort of POSITIVE cruise news so, here goes!! Although the following was reported on at the time it certainly failed to spark a media frenzy of positive news circulation for the cruise industry, but, on March 3rd 2012 the Norwegian Star cruise ship rescued 2 sailors roughly 55 miles northwest of Pinar Del Rio, Cuba. The 38-foot sailboat, Hokulani, was severely damaged by rough seas and the crew was worried they would not make it back to port. The Coast Guard received an Emergency Position Indicating Radio Beacon (EPIRB) for the boat and took action. 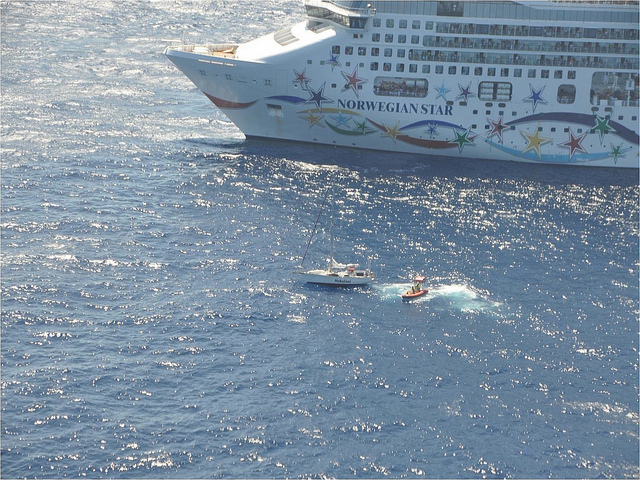 Norwegian Star was only 30 miles away from the stricken sailboat and she certainly swooped in to help, and not for the first time either, she has “saved the day” previously when a sailor was left stranded due to a damaged sail. Within 4 hours of the distress signal going out the stranded sailors were on board Norwegian Star and heading to Tampa, Florida. I really do want to re-iterate that such disasters like the Costa Concordia tragedy are very rare; an engine fire is something that I’m sure cannot be foreseen and sometimes things just happen. Like any other form of transportation there are risks, yet cruising is still possibly one of the safest ways to travel. I hope no-one finds themselves deterred from cruising because of the recent “bad press” because it’s simply like everything else in life, it’s not entirely perfect but the problem shall always be rectified.